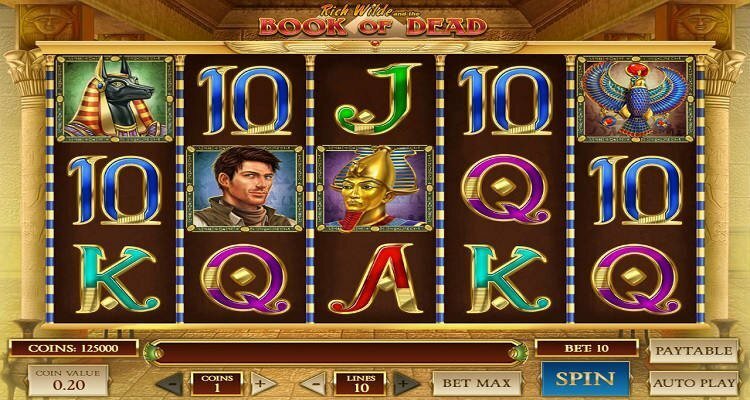 Book of Dead Slot – Rich Wilde and the Book of Dead was released in 2016 by the Swedish casino game developer Play ‘N Go. Although it became clear that Book of Dead was really just a Book of Ra (Novomatic) copy, it is a copy with greatly improved graphics and slightly more game options (1 extra payline and a somewhat different payout table). The general public loved this slot instantly. The idea that you can win a lot of money with a small bet is very interesting to many players. If a slot machine looks great and has an excellent payout percentage (97.76% to be exact), you have a winner. The Book of Dead slot machine has a payout ratio of 96.76%. The payout percentage of the online version of Book of Ra is considerably lower: only 94.2%. A difference of almost 3% and we suspect that this was also a good reason for serious players to embrace Book of Dead. Book of Dead is loosely based on the Indiana Jones movies, where a tough explorer named Rich Wilde goes to Egypt to search for immense treasures. It is up to you to find these treasures and add them to your balance. Book of Dead is a high variance slot machine: you can win very large amounts, but your balance can also go down quickly. The most important rounds (where you can win large amounts of cash) are the bonus rounds. During this round an unique expanding scatter feature is activated. Book of Dead has 10 paylines and 5 reels with 3 symbols per reel. 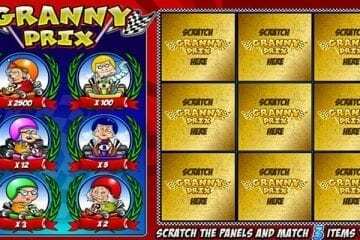 With this slot machine you set the number of paylines and of course the bet per payline. 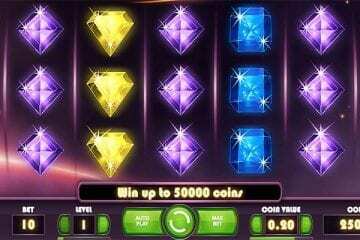 Although we suspect that most players will choose the maximum number of paylines. The minimum bet is €0.01 euros per spin and the maximum bet is no less than €100 euros per spin. Whether you are a small player or a high roller, you can go all the way with Book of Dead. When it comes to the theme of Book of Dead, it is full of references to Egypt and the explorers. For example, we see the Pharaoh, the god Ra and of course Rich Wilde himself. This last symbol is the highest paying symbol: five Rich Wild symbols on an active payline gives a splendid payout of 5,000 times your bet. The red Book of Dead symbol is both a wild symbol and a scatter symbol. When three or more scatter symbols appear on the screen, the bonus is activated. The bonus round starts with 10 free spins. Which may not seem interesting, but Book of Dead has a very interesting extra addition. Before the 10 free spins bonus starts, you will be assigned a special symbol. This special symbol serves as an expanding symbol during the free spins. What does this expanding symbol mean? Wherever the symbol falls on the reels, it always extends over the entire reel. All payouts always apply to all paylines. So if you succeed in getting three, four or five scatters of the special symbol, you will have a (very) nice payout. For example; the Rich Wild symbol is the special symbol and there are 5 scattered Rich Wild symbols; you will win 10 x payout of 5,000 x your bet per line. 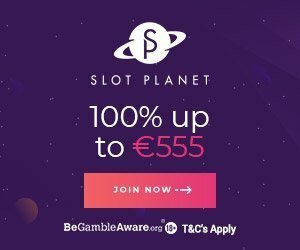 This means a total of 50,000 x your bet per line! Also a nice feature is that the bonus can retrigger, which is good for 10 extra free spins. The bonus regularly retorts and the number of retriggers is unlimited. And so, the bonus game of Book of Dead can payout a lot, even with the minimum bet per line. Play N Go has delivered an irresistible slot machine with Book of Dead. That is, if you like high variance slot machines. You should not play Book of Dead for entertainment in the bonus game. That is because it is just not there. There are no mini features, no brilliant animations and no stunning sound effects. What Book of Dead does offer? The opportunity to win a lot of money. And with every free spin it can be just that. Graphically and in terms of payment percentage Book of Dead is a clear improvement compared to Book of Ra, which this slot machine is clearly inspired by. Do you want to read about other games you can find at an online casino? Read our articles about roulette, bingo, blackjack, sports betting, baccarat and scratch cards.